The Kennedy Assassination…the Man in the Pergola as Seen in the Orville Nix Film. A mysterious person behind the Pergola follows the limousine through one of the slotted windows in the Pergola. Look at the upper right of this clip. The Kennedy Assassination…the direction of the Bullet. 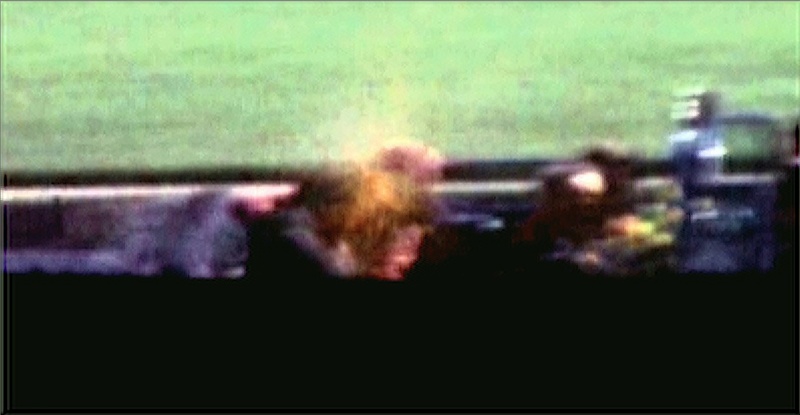 Here are some of the clearest images from the Abraham Zapruder film. They have been filtered and deblurred. See if you can determine the Path that the projectile took when making the wound. This frame has been filtered and deblurred. 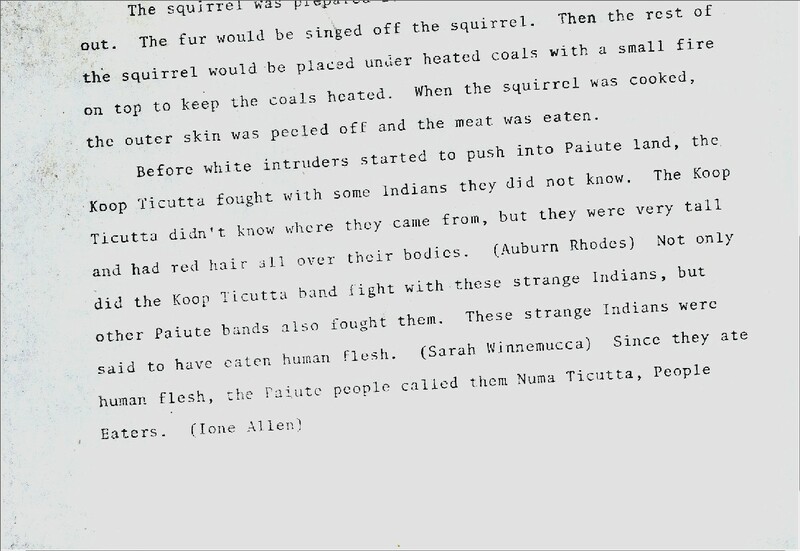 It is the single most graphic frame from Zapruder’s film. Perhaps you can see the path of the projectile in this improved image. The Kennedy Assassination…The Gravity of the Wound. This clip has been through a deblurring process whose strength is designed for severe blurring. The gravity of the wound to the head becomes apparent here. 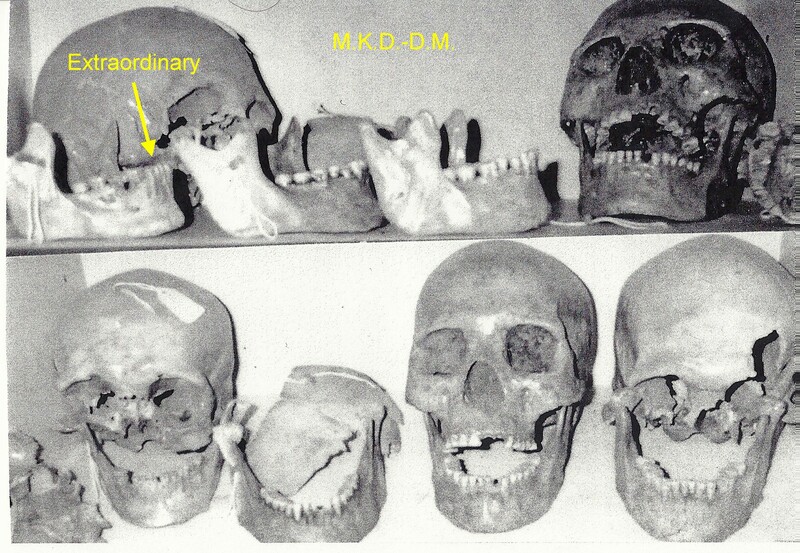 The Red Haired Giants of Lovelock Cave…The Skulls of the Humboldt Museum. Below are the skulls as I photographed them in 2006. This is a stitched photo. Here is the photo that Don Monroe took some 30 plus years ago. Pay attention to the fact that there are more artifacts then and more particularly to the mandible that is arrowed. 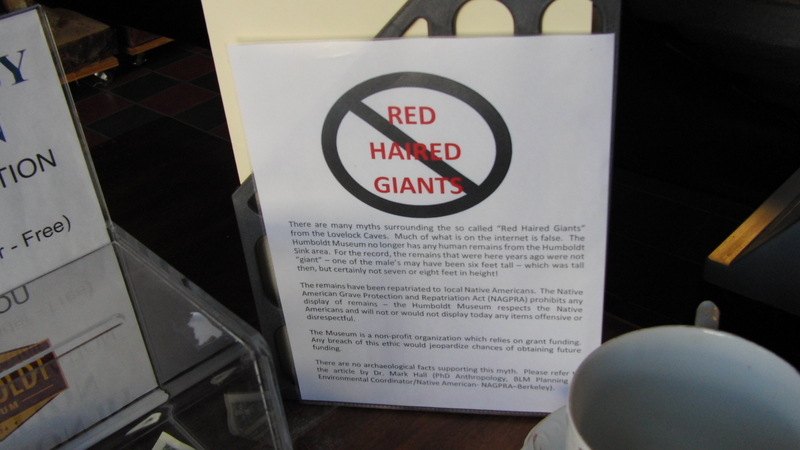 Here is the recent flyer that the Humboldt Museum is now featuring and you can see that there has been a complete reversal of the position the Museum has taken on the Red Haired Giant issue. It is my belief that this sudden policy change has a sponsor. 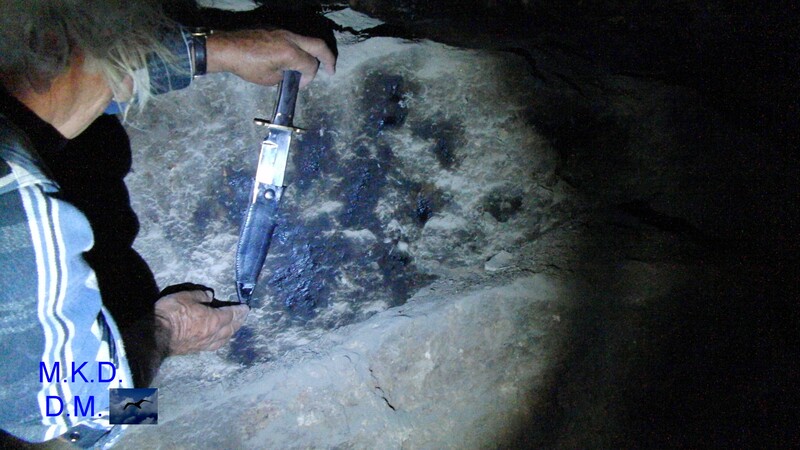 Here is the giant hand print that Don Monroe and I found in Lovelock cave in June of 2013. Here is the hand print before and then after it was destroyed. It was destroyed sometime between June 2013 and November 2013. Notice the smudge in the upper right that wasn’t touched. It was used to align the two photos. Tornado Footage…The Tuscaloosa Alabama Tornado. Stabilized…With Horizontal Rotation. Watch the horizontal vortex extend from the base of the funnel outward in this violent storm. Click on the image to enlarge. Here is footage of the Tuscaloosa Alabama tornado as it passes by. It is slowed down. Watch the spinning horizontal vortex spawn a vortex at right angle from it. It dangles like a rope. Click on the image to enlarge. Watch the strange satellite vortices as it spins independently of the parent storm. Click on the image to enlarge. This tornado was an extremely violent tornado. Here you can see multiple vortices with almost horizontal rotation. 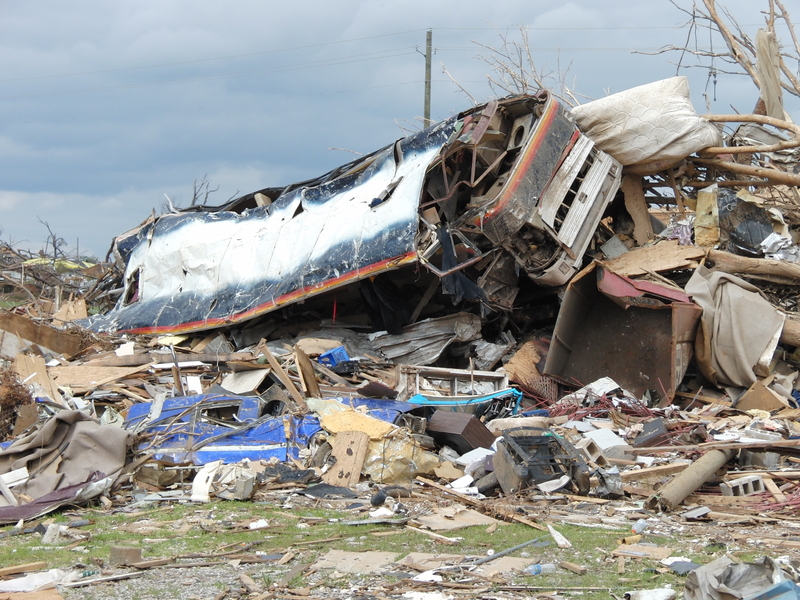 It produced damage like you see with the bus piled high on the debris pile. The extreme violence of the Tuscaloosa Alabama tornado can be seen in this stabilized footage. Click on the image to enlarge. A Rock Throwing Bigfoot Near Provo Utah…Zoomed And Stabilized.